Ontario Premier Kathleen Wynne ended 2013 nearly tied in popularity with her main opponent on the left, New Democratic Party Leader Andrea Horwath, according to a recent Abacus Data Poll. But 2014 may be the year when the public image of the self-proclaimed “social justice premier” Wynne will be forever changed. 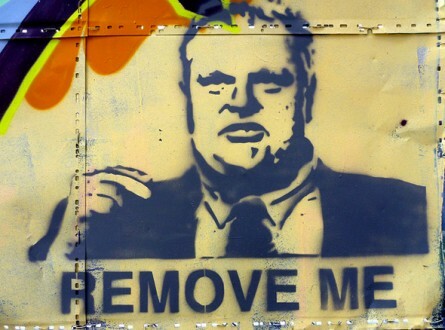 On February 19, 2014 an event called A Poor People’s Inquiry will put the premier of Ontario on trial in the court of public opinion. Wynne will be charged with knowingly misleading the public by saying social justice is her top priority. Details of the Toronto trial location and agenda will be announced early in January. A Poor People’s Inquiry is an initiative of Put Food in the Budget (PFIB), “a grassroots activist group working to hold the Ontario Government’s feet to the fire on promises made – but not kept – to reduce poverty,” according to its website, www.putfoodinthebudget.ca. Starting in September 2013, PFIB held community hearings across Ontario and Toronto neighbourhoods. PFIB is known by campaigns like the Do the Math Challenge – inviting people to live on a “food bank diet” for one week, and the Dear Mr. Premier Tour, in which people in 25 communities in Ontario were video-taped telling a life-size mannequin of former Premier McGuinty what they thought of his austerity budget. The Liberal government of Ontario seems to be big on promises, but not so good at keeping them. In 2008 former Liberal Premier Dalton McGuinty promised a strategy to reduce poverty in the province. Instead he cut corporate taxes, increasing the size of the provincial deficit; and introduced an “austerity budget” that threatened to reduce spending on social assistance and vital community and public services. In 2012 his successor, Kathleen Wynne, acceded to the top job calling herself the “social justice Premier.” Since then the Liberal government has effectively cut social assistance, with rate increases lower than inflation. Let’s remember that a worker, even a middle class worker, in times of such uncertainty may be only a step away from falling into the social assistance system, as many testified at the Inquiry.